Talks on allowing countries outside the EU to join have been postponed for later this year, amid speculation over the UK’s eventual departure from the European Union. The initial batch of projects include maritime surveillance, a European medical command, armoured infantry fighting vehicles, among others. The idea, led by France, Germany, Italy and Spain, is that better cooperation among those involved will lower overall military expenditure. It also aims to speed-up EU crisis interventions in conflict areas around the world. A European defence fund, set up by the European Commission, will finance industrial research. 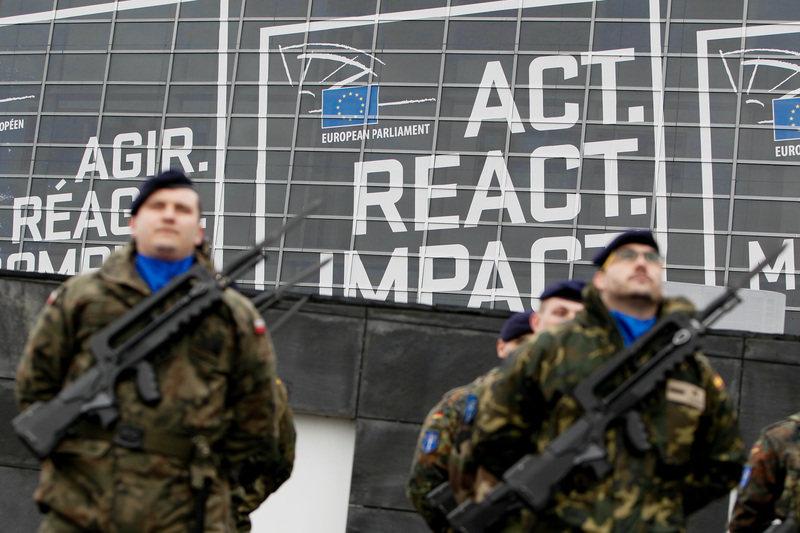 The European parliament backed the defence and security plans last December. This entry was posted in Europe, European Army, European Union, Military, Politics and tagged Belgium, Brussels, EU, EU Army, EU defence ministers push ahead with military projects, europe, European Army, European Defense Fund, European Medical Command, European Union, Federica Mogherini, permanent structured cooperation, politics. Bookmark the permalink.